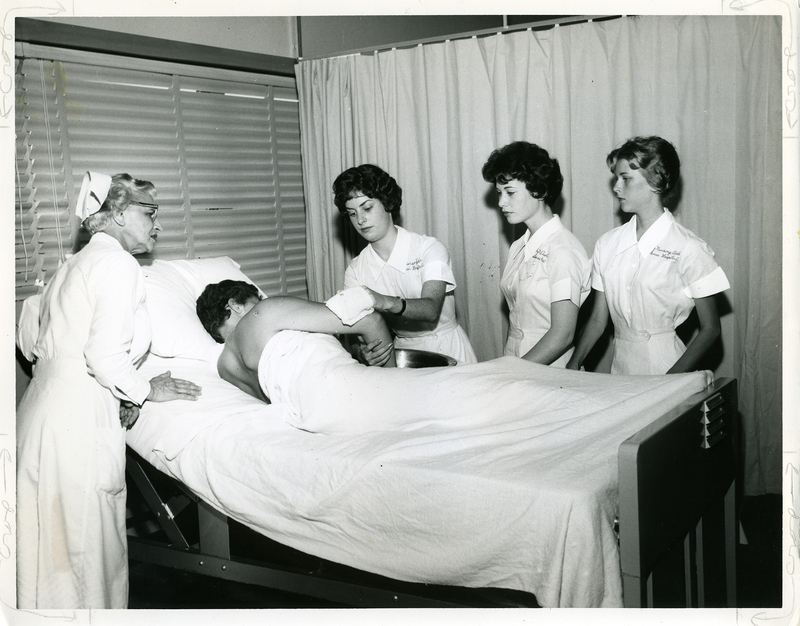 During my Exhibitions Research Internship at the Jewish Museum of Maryland, I have had the opportunity to conduct research on the Sinai Hospital Nurses Training Program for the upcoming Jews, Health, and Healing exhibition. This research has included reading several oral history interviews from nurses who trained at Sinai Hospital (the program ended in 1975). These interviews have not only given me new insights into the hospital and its program, but also have allowed me to learn some of each woman’s personality. A group of Sinai nurses in gathered in their residence eating pizza, no date. Courtesy of Sinai Hospital of Baltimore. Oral histories collect and record personal memories and commentaries, and are one of the most important sources of information available to historians. An oral history allows one to learn about the lives of people that are not ordinarily covered in history textbooks. The information gathered in an oral history can be used for research, excerpted in publication, filmed for documentary, or displayed in museum exhibition. The Jewish Museum of Maryland is home to hundreds of oral histories. 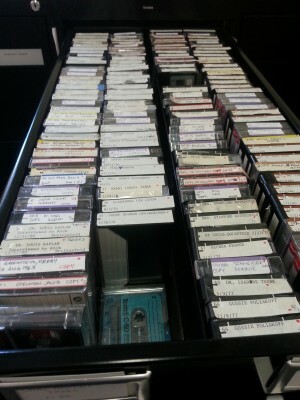 Those histories that have not yet been digitized or transcribed are kept in audiocassette form and organized in filing cabinets. Information we have gathered through the nurses’ oral histories will better allow us to place exhibition objects into context and craft a narrative for their display. 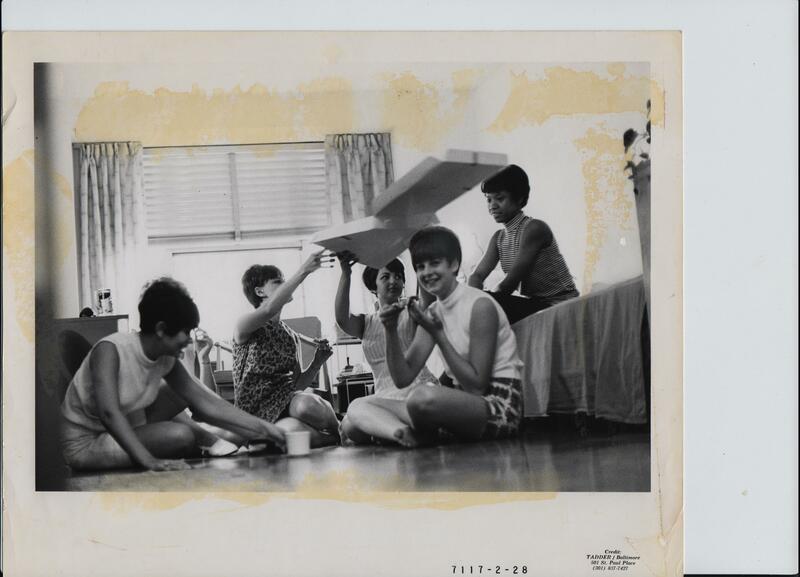 As Curator Karen Falk wrote in her “JMM Insights, July 2014: Where Culture Meets Science” blog post, Bobbie Horwitz’s interview gave context for the elaborate silver tea gifted to JMM by the Sinai Nursing Alumnae Association. 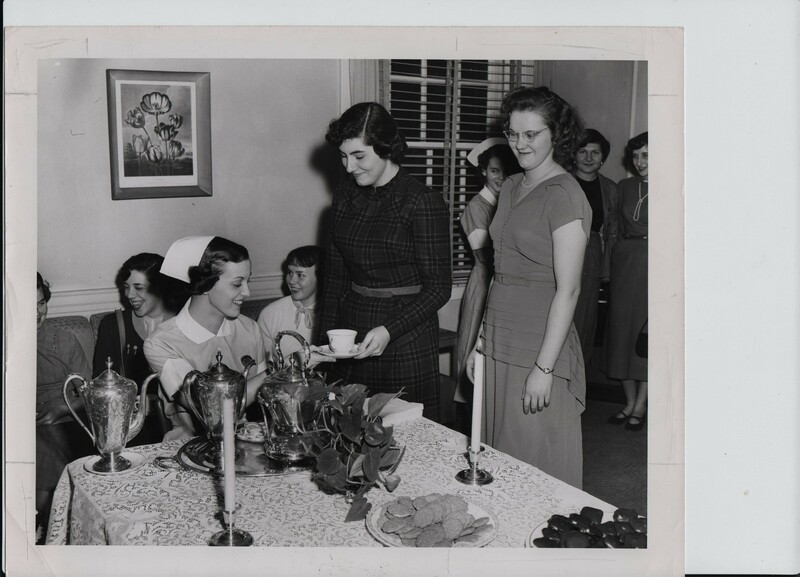 Horwitz explained, “They wanted to make ladies of us.” One of the ways they did so was through a civilized “tea” held every Friday. Sinai nurses drinking from their silver tea set, no date. Courtesy of Sinai Hospital of Baltimore. Another interesting story I came across was from former Sinai nurse Senator Rosalie S. Abrams. Abrams recounted how she learned Yiddish while working in the men’s ward. “I was a head nurse for the men’s ward,” she said. “That’s where I learned my Yiddish—on the men’s ward. We used to sing them Jewish songs.” Such stories illustrate the intersection of Jewish culture and medicine in the space of the hospital. Three Sinai nursing students and their instructor stand around a patient in his hospital bed, June 1960. Accession # 2010.020.316. Courtesy of Nurses Alumnae Association of Sinai Hospital. After reading so many interesting stories I was excited to receive training, with my fellow interns, from Curator Karen Falk on how to conduct an oral history. We went over how to use the museum’s recording equipment and preparing the proper documentation for the interview. It is crucial to be prepared for the interview. One of the most important things to consider is what you want to learn. You should know your topic and what information you hope to gain. Prepare a list of questions that get at the heart of what you want to know and familiarize yourself with them. Your rapport will be easily interrupted if you keep pausing to look down at your questions. Keep in mind that you should also be flexible with your questions. Your interviewee may bring up interesting points you never considered, but would like to explore. Prior to conducting your oral history make sure all your recording equipment works. Familiarize yourself with it and practice. You do not want to waste your interviewee’s time trying to set up equipment that you do not know how to use or that does not work. 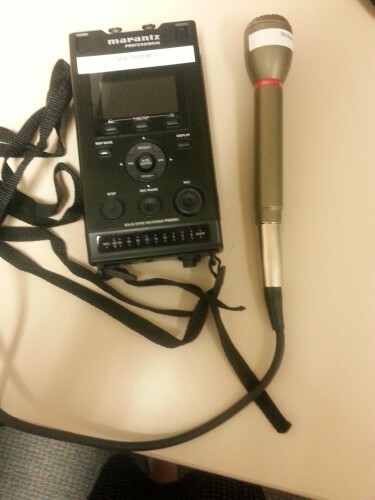 Some of JMM’s oral history recording equipment, including a digital recorder and microphone. Upcoming research for the Jews, Health, and Healing exhibition will include conducting more oral history interviews with Jewish medical professionals. I hope that some of the great accounts from the Sinai nurses’ oral histories will be incorporated into the exhibit. A blog post by Exhibitions Research Intern Sarah Moore. To read more posts by interns click HERE.